Photograph and extra family information courtesy of Terrie. 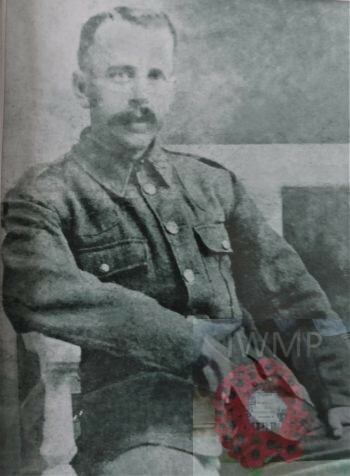 Died: 22nd January 1916; age: 32; KiA. Occupation: A Hairdresser with his own Barber’s Shop, at The Mount, Ipswich. He was also an Insurance Agent. Rank: Private; Service Number: 3/9320. Christopher was 8 years old and living with his widowed mother & siblings. Sarah Elizabeth Gibbons (nee Smith), a Hairdresser – employer, born Comerton, Cambridgeshire. George Robert Gibbons, 16, an Apprentice Hairdresser, born Framlingham. Florence Gertrude Gibbons, 13, born Framlingham. Beatrice Vera Gibbons, 10, born Framlingham. Robert Acfield Gibbons, 6, born Framlingham. Stanley Douglas Gibbons, 5, born Framlingham. 1 hairdresser’s assistant – Wilfred Warner Thurston. In August 1891, Christopher’s mother, Sarah married Wilfred Warner Thurston. 1901 34, Elm Street, Ipswich. Christopher was 19 years old, a Hairdresser. He was living with his employer, 27 year old Arthur Bulmer, a Hairdresser. 1911 14, Orwell Road, Ipswich. Christopher was 28 years old, a Hairdresser – employer. He was married and Head of the Household. George Cuthbert, 57, a Bricklayer, born Hollesley, Suffolk. Ellen Cuthbert, 54, born Westerfield, Suffolk. Christopher’s father was Arthur Edward Gibbons, born 1853, Framlingham – died 1889, Framlingham. He was a Master Hairdresser. Christopher’s mother, Sarah Elizabeth Gibbons, died 1900, Framlingham. In 1905, Ipswich, Christopher married Edith Elizabeth Cuthbert, born 1884, Ipswich. They had 5 children. George Frederick R. Gibbons, born 1st July 1906, Ipswich. Ernest Christopher Stanley Gibbons, born 1st July 1906, Ipswich – died 2nd September 1906, of Acute Enteritis & Exhustion, at 22, Tomline Road, Ipswich. Ernest Christopher Gibbons, born September 1907, Ipswich. Winifred Ellen M. Gibbons, born 1910, Ipswich. Frederick Stanley Gibbons, born August 1912, Ipswich. Soldiers’ Effects to Edith Elizabeth Gibbons – widow. Christopher’s brother, Robert Acfield Gibbons of 13, Riverside, Chelmsford, also fell. A Private, service number 34188 of the 1st Battalion of the Essex Regiment. Presumed KiA 14th April 1917 at Marchy-de-Preux, during the Battle of Arras. Remembered on Bay 7, Arras Memorial, Pas de Calais, France. Family note: The company that Robert Acfield worked for in Chelmsford went to court to try and keep him working for their Company. Sadly they lost the request and Robert lost his life. Christopher Gibbons was my paternal grandfather! She was working at Ransomes, Sims and Jeffries at Ipswich, as a shell inspector within a year of his death. I have been to his memorial at Ypres several times with my wife. Always remembered! ‹ WILLIAM ALEXANDER GIBB M.D. Ernist Christopher Gibbons died three months after his birth October 1906. Graham Charles Gibbons September 24th 1942! Mother had at least two misscarages my doughterinlaw found my grandfathers photo in Sailmakers in Ipswich for the thirst time in 76 years I have seen him. 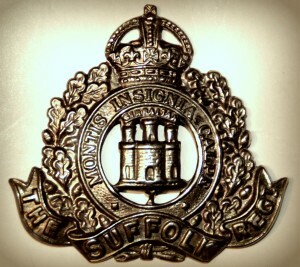 Will not be back till November 25th,I also served in the 5th battalion Royal Anglians for 4years.